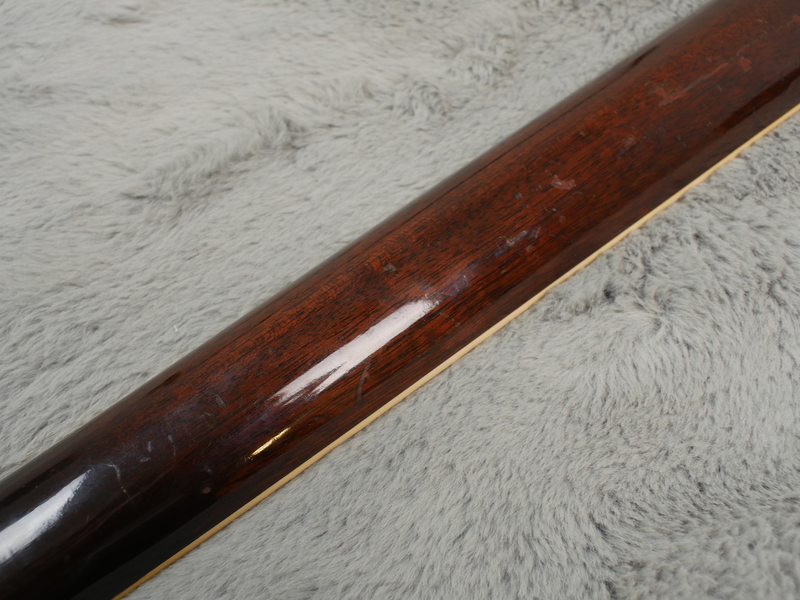 We don’t get them in like this very often. 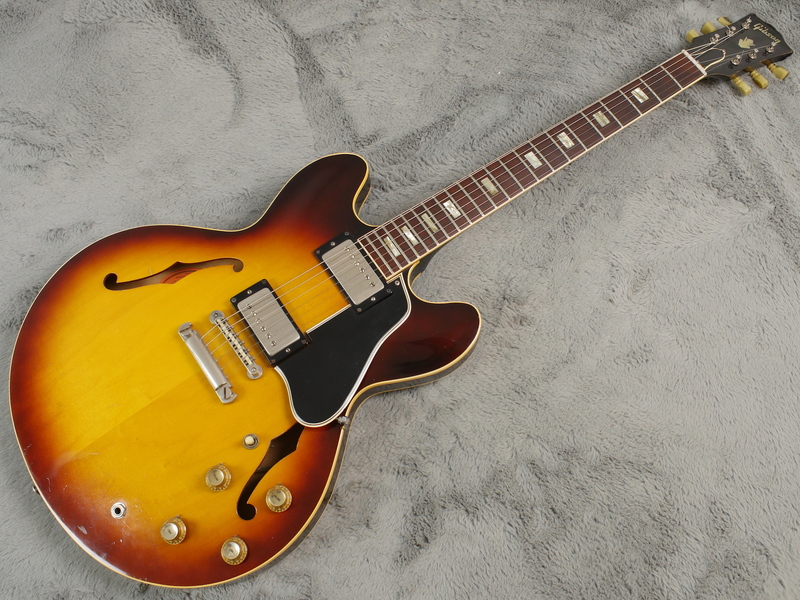 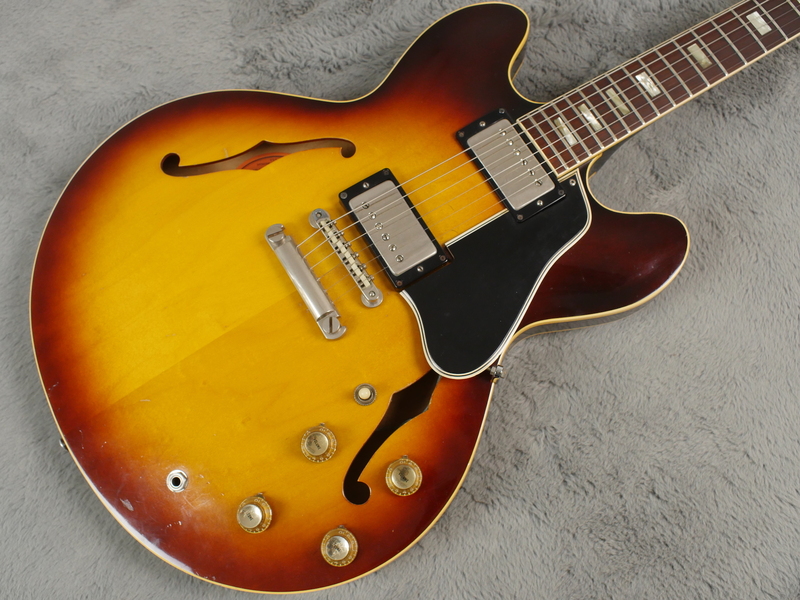 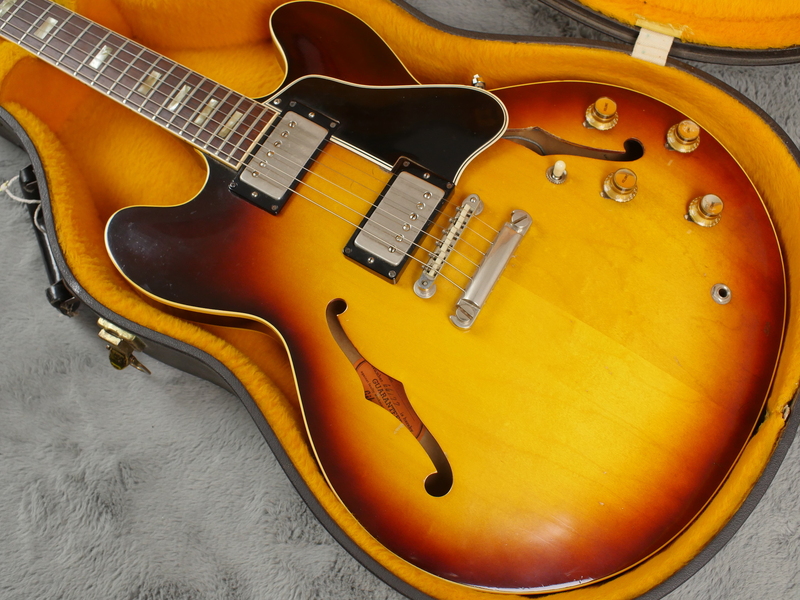 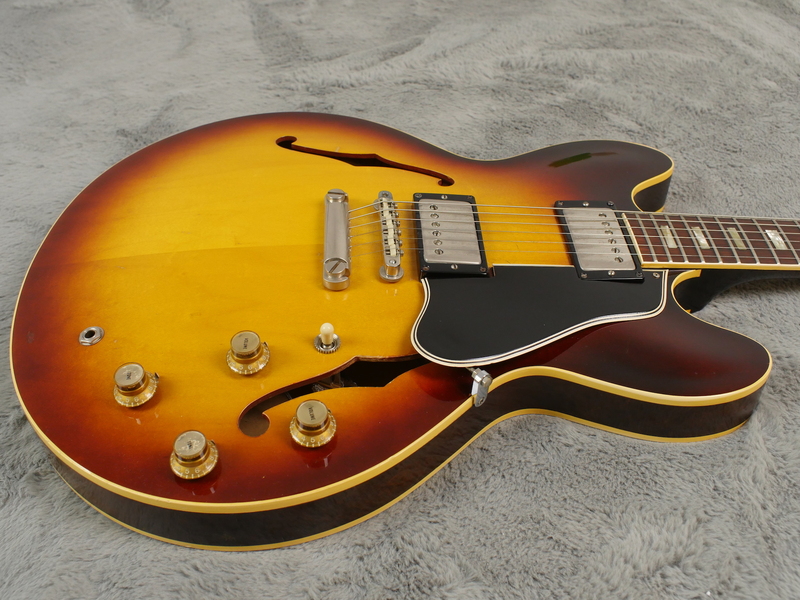 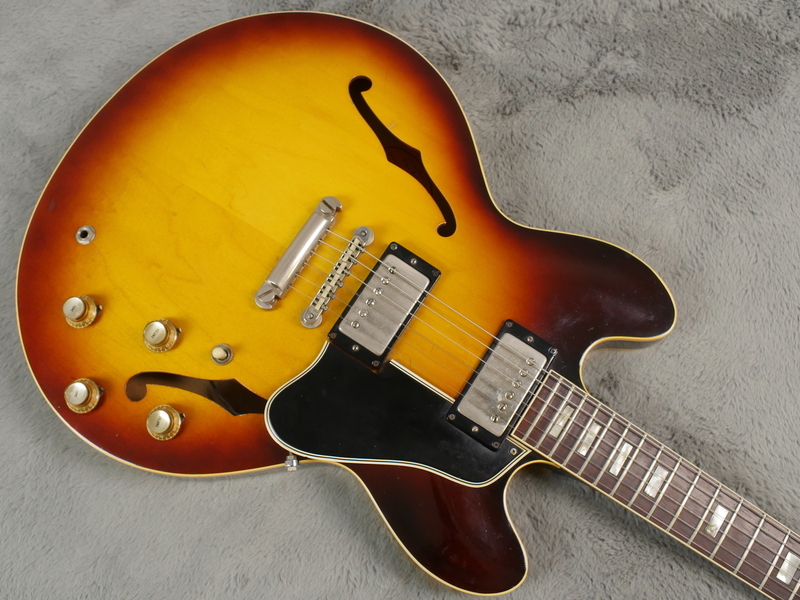 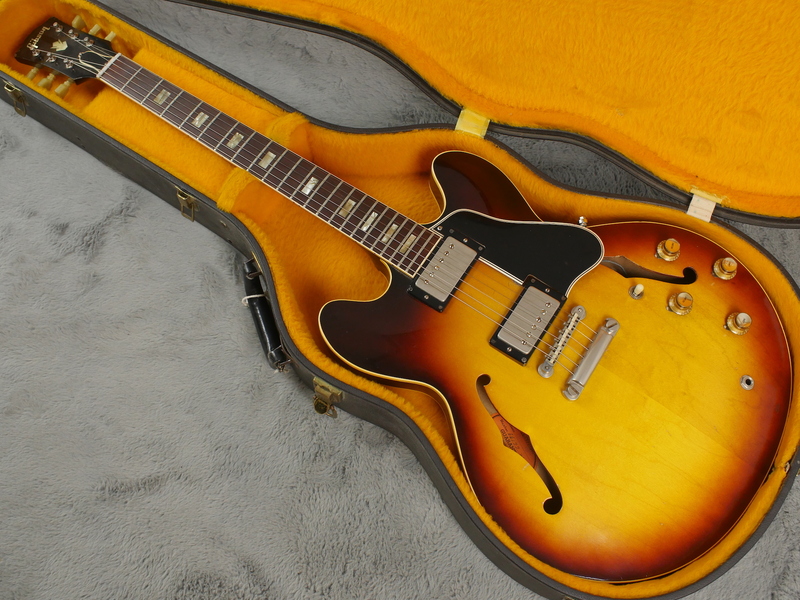 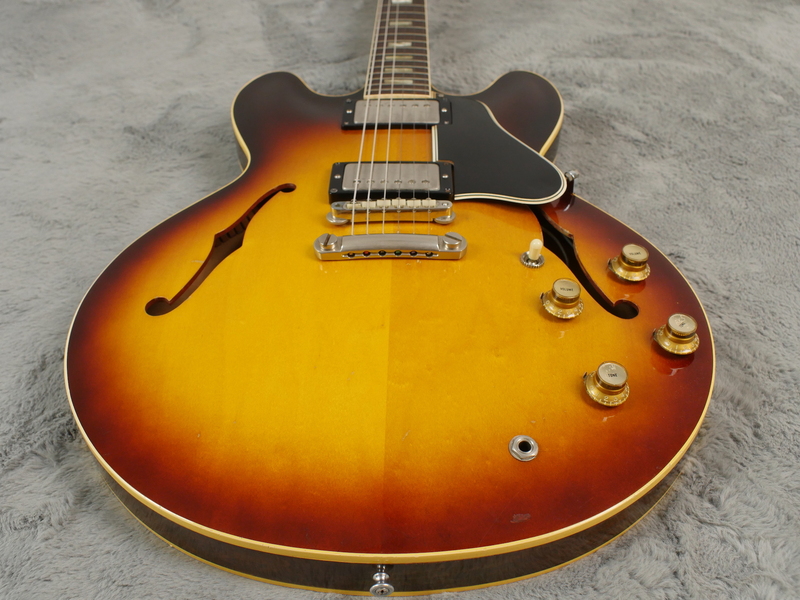 A near MINT Gibson ES-335 TD, original factory stop tail from one of the best years you can get for a ES-335, or for most Gibsons in fact. 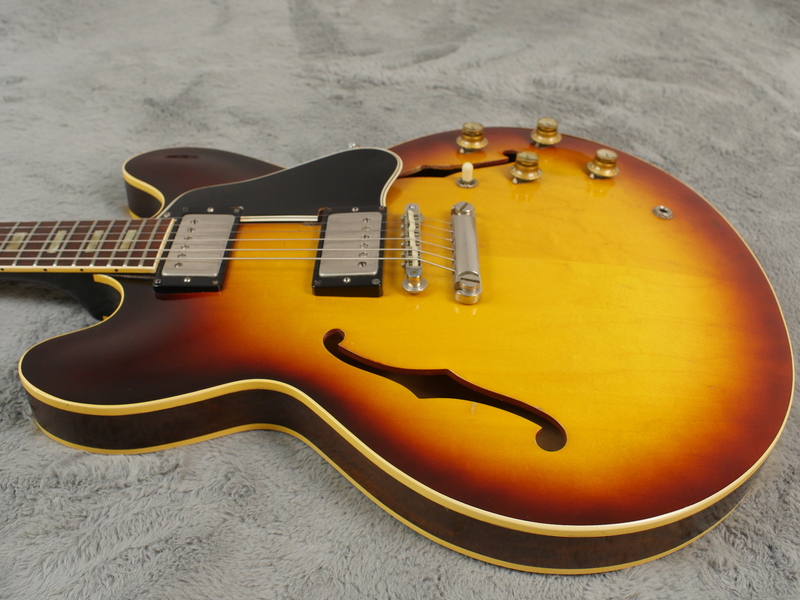 This beautiful guitar is a real stunner and is totally correct, we cannot find a thing out of place on the hardware, electrics or finish front. 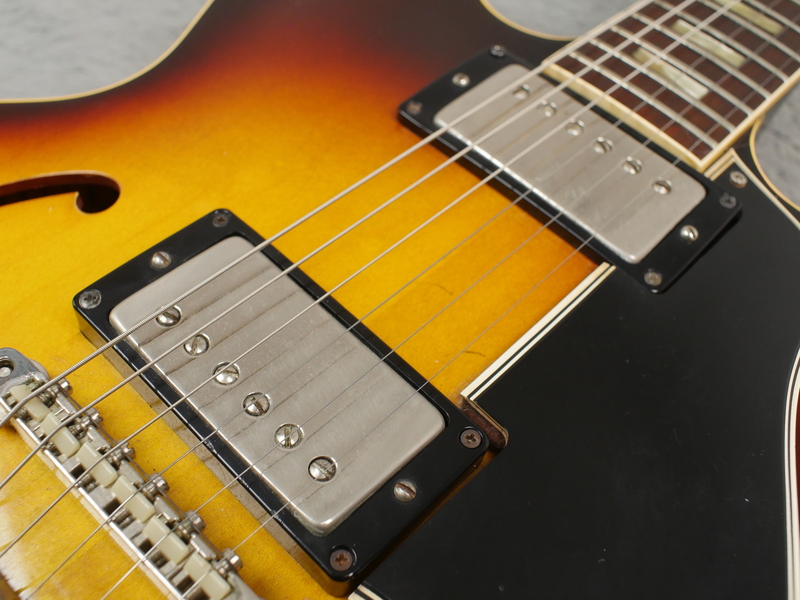 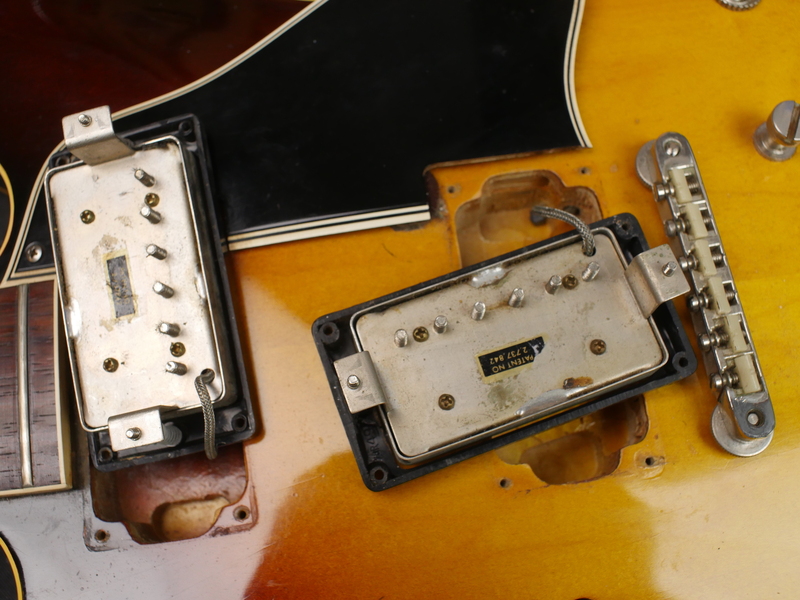 Both pickups are nice and strong, original PAT number sticker humbuckers from 1964 and all hardware is totally correct including the nickel ABR-1 with nylon saddles and the short seam tailpiece. 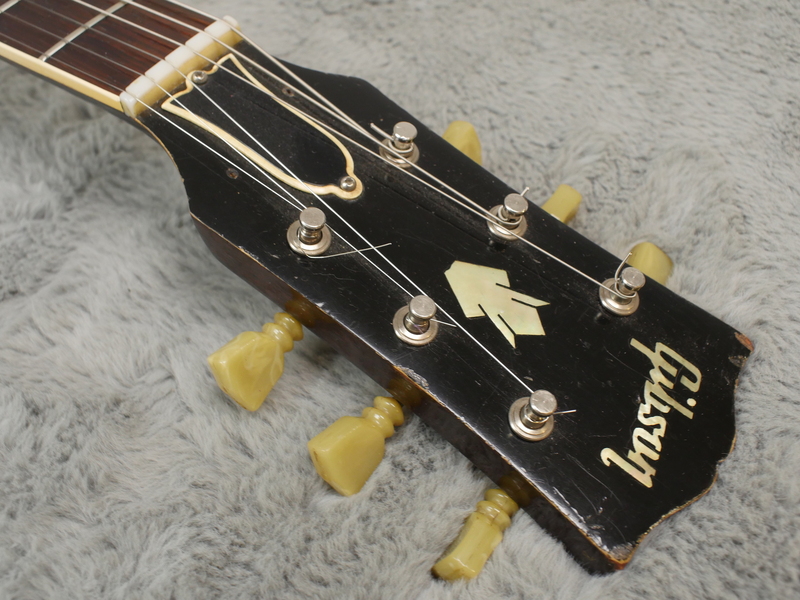 The only item we can see is two tiny screw holes either side of the truss rod cover which have not been filled but have been slightly touched up. 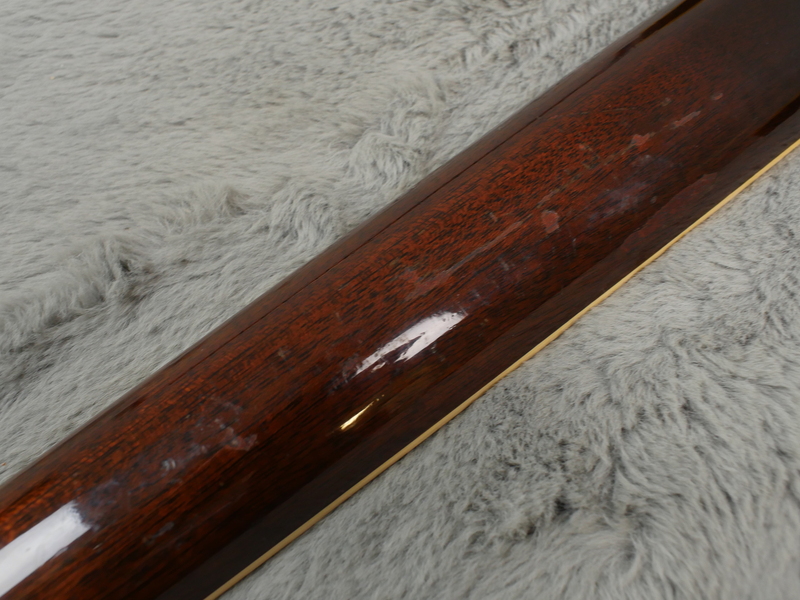 Our best guess is this was for some kind of string retainer placed there years ago for some reason but whatever the reason is, you do not notice it unless you are looking for it and the previous owner had not realised it was there until we pointed it out. 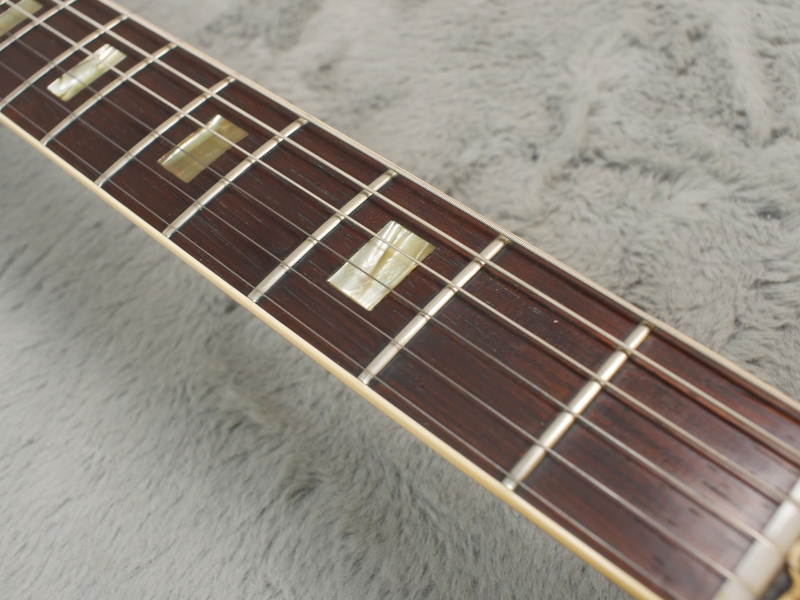 Guitar is well setup and almost plays itself. 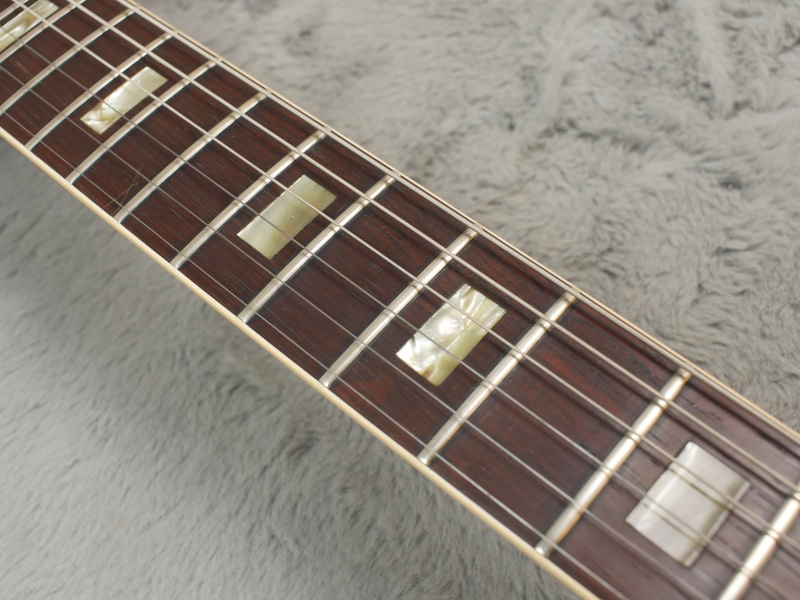 Original frets are in excellent shape with still loads of meat left on them. 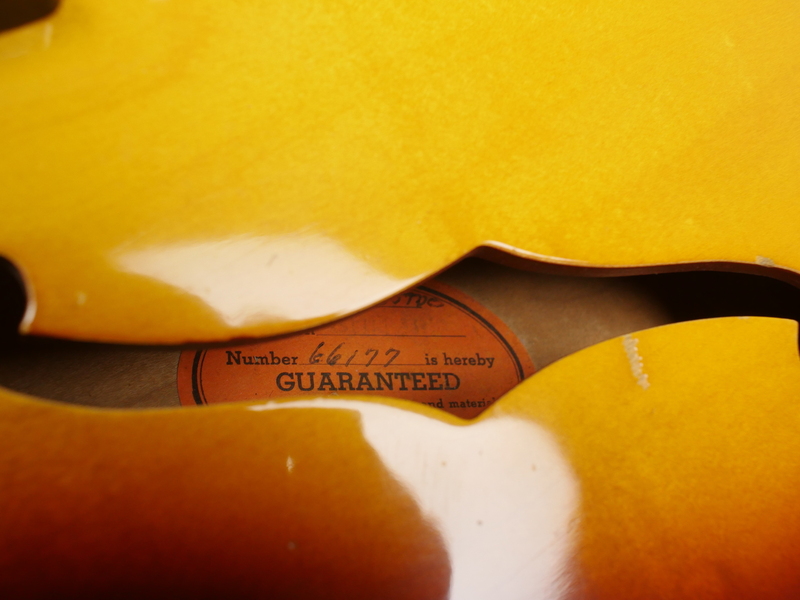 Intonation is excellent and I do not think anyone would be disappointed by the way this stunning guitar plays, or sounds. 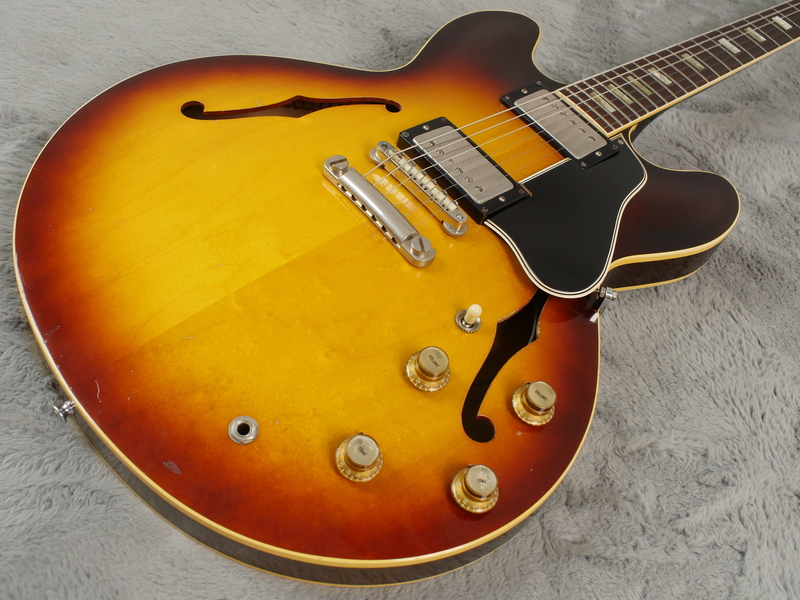 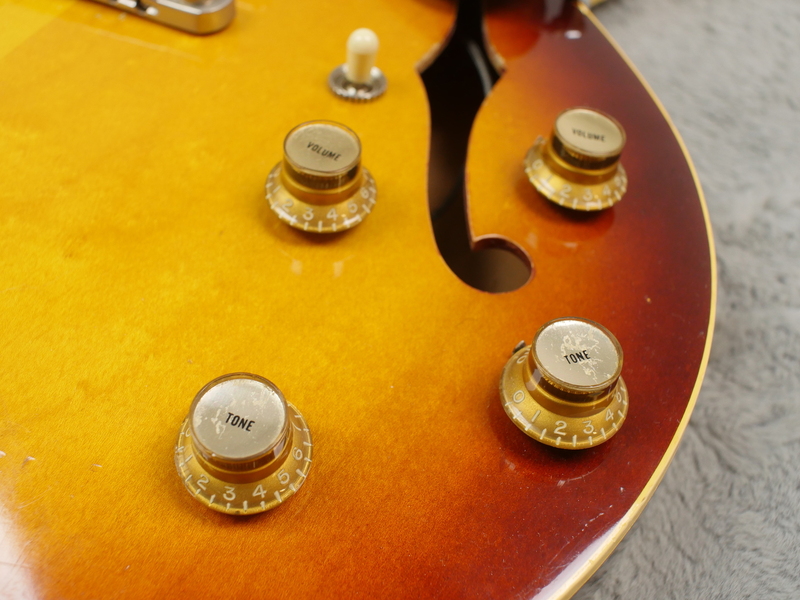 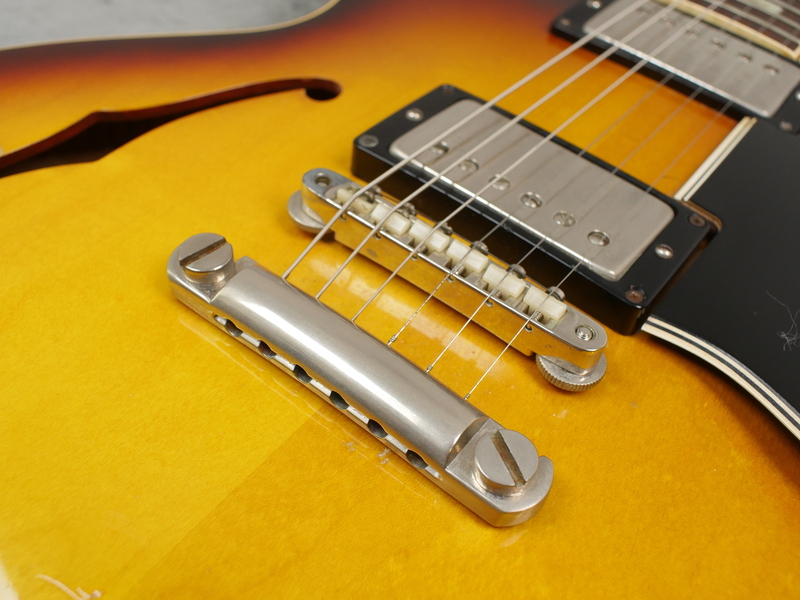 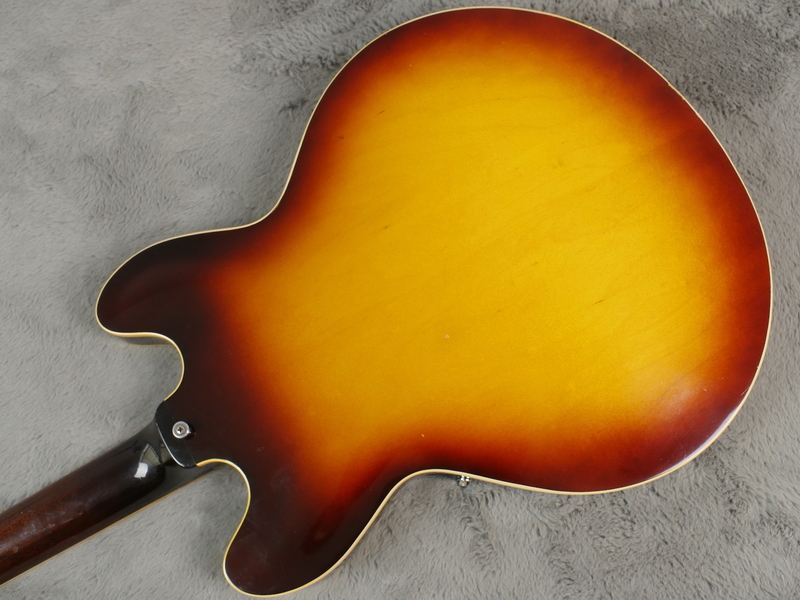 All original, classic Gibson tobacco sunburst finish is strong, vibrant and unfaded. 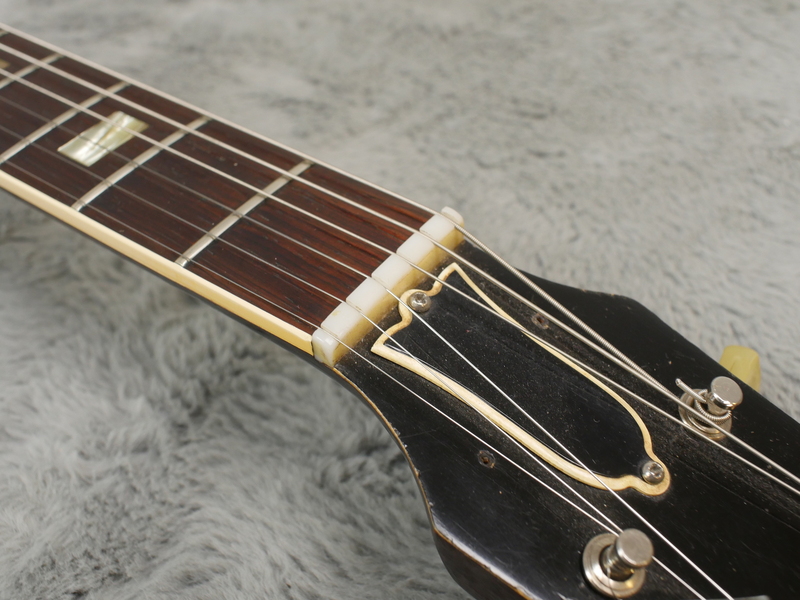 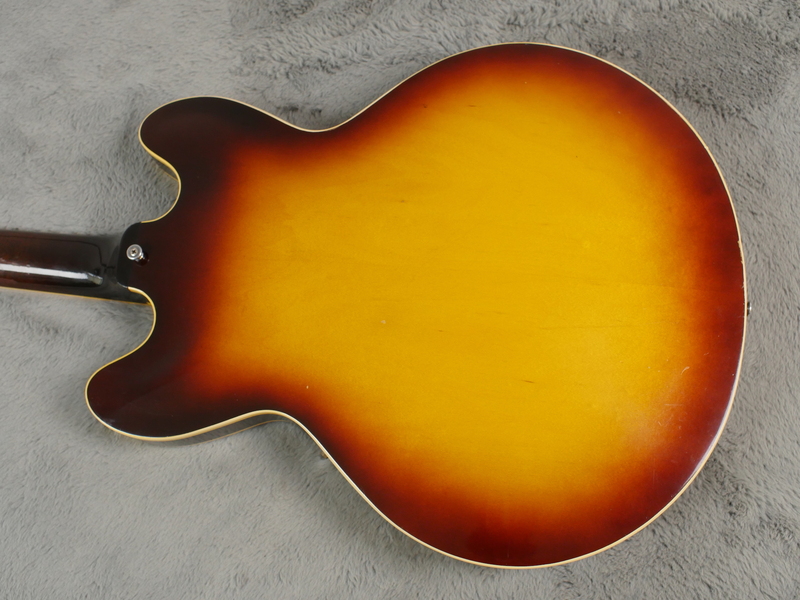 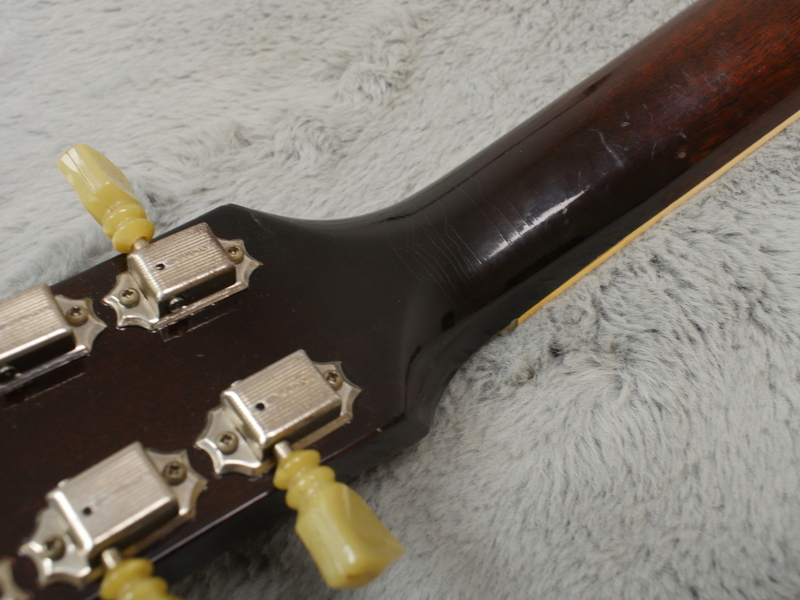 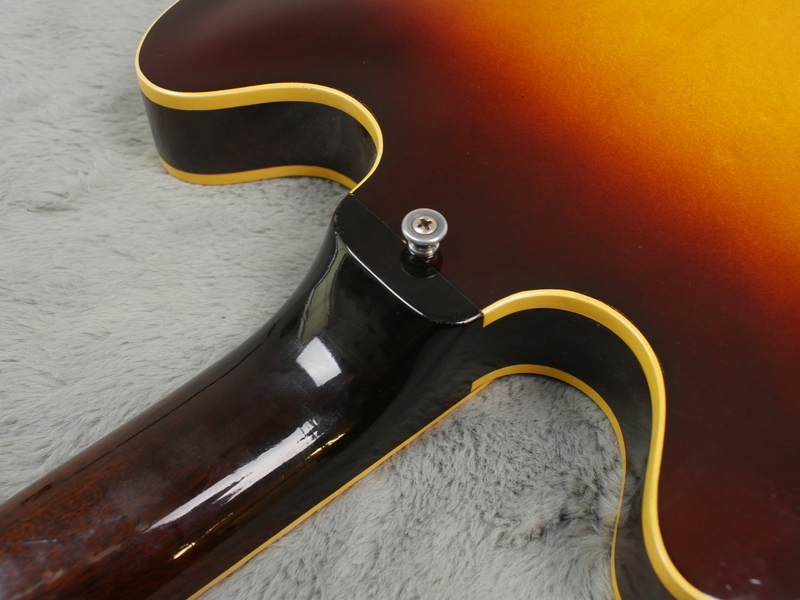 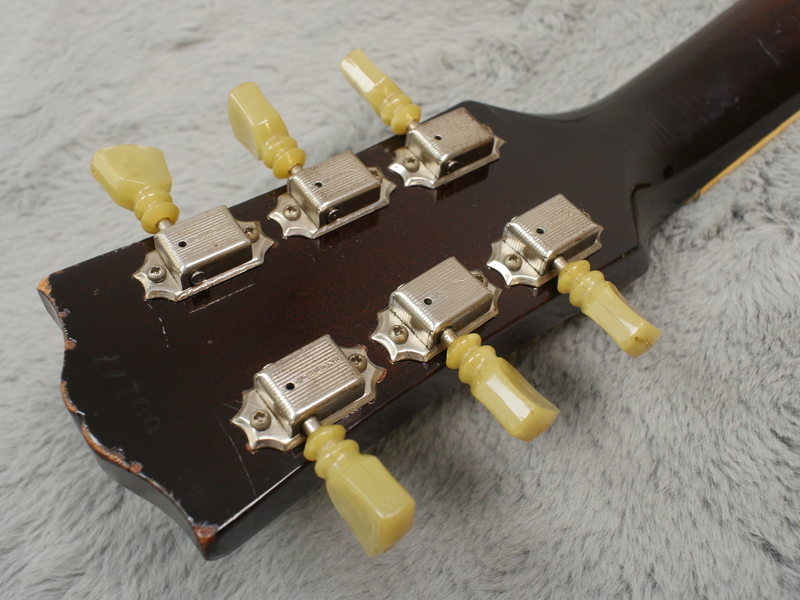 There are just a few small dings here and there including some around the headstock edges, around the top by the edges and a couple on the back of the neck. 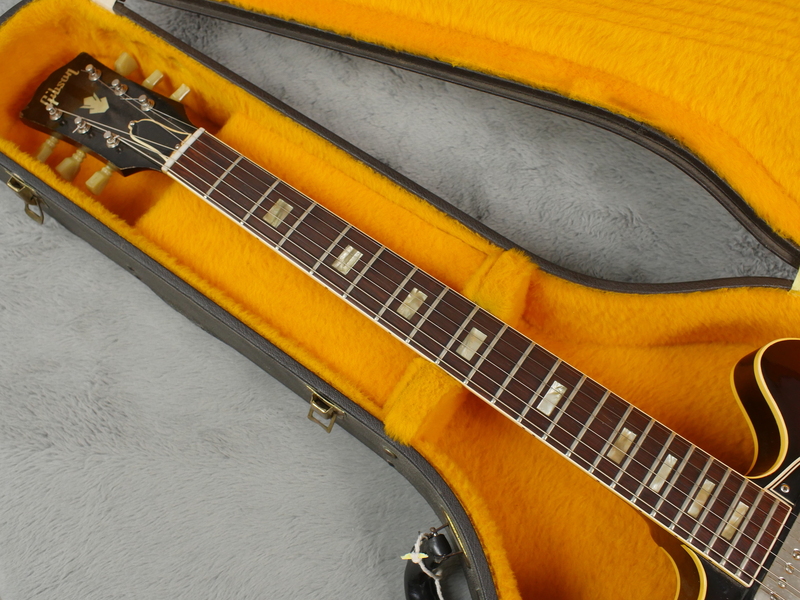 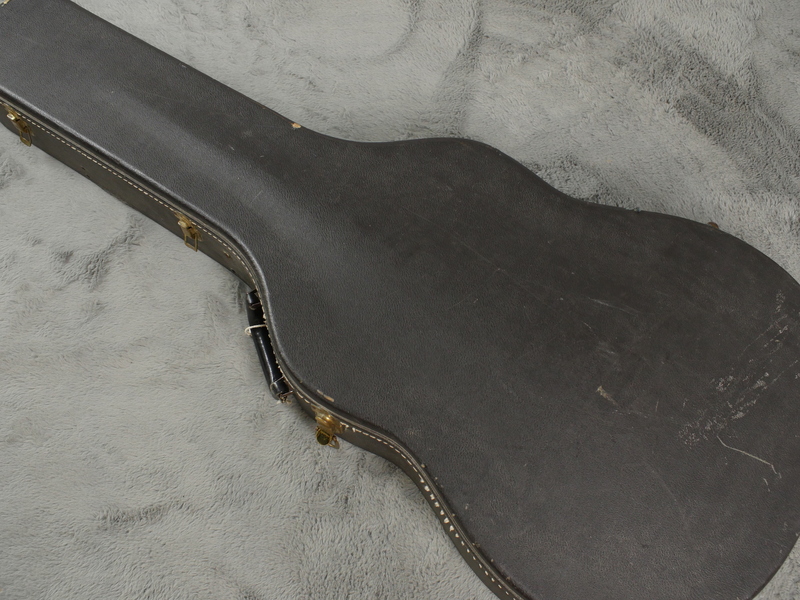 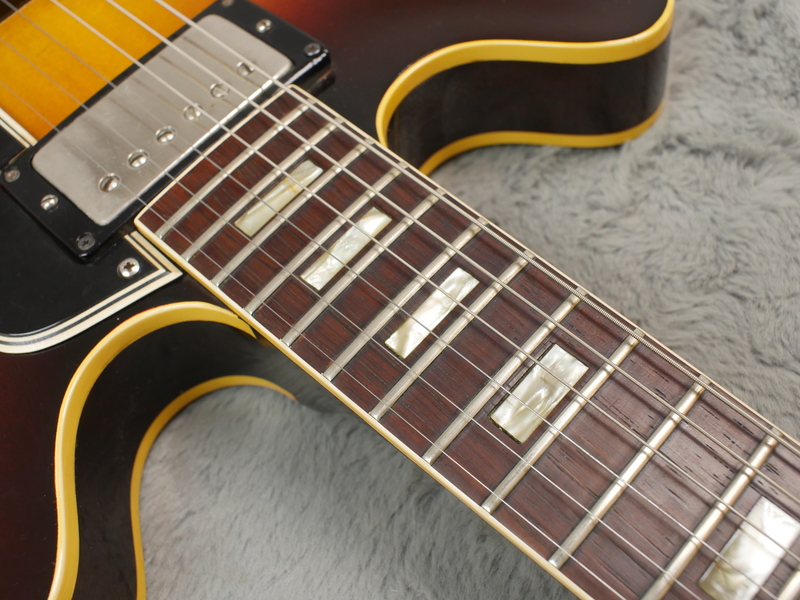 Included is the correct black case with yellow lining that is also in excellent shape, just like the guitar.